Today is Day 2 of the sneak peeks for the August stamp release at Craftin Desert Divas. 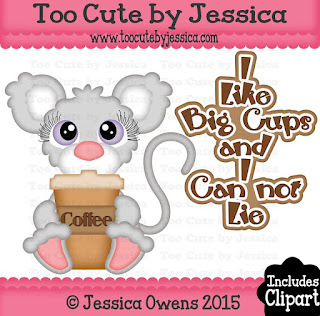 We have 4 new stamp sets and 2 new die sets for this release. For today I've made a fun shaker card. I decide since this was a coffee theme shaker that I would use coffee beans for the "shaker" part. Let me say my card smells SO good. I used my Fancy Frame Dies to make the outer part of my shaker card. 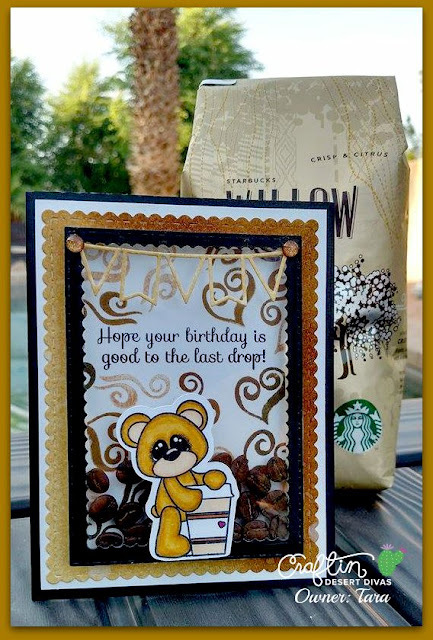 I did make the brown background paper by watercoloring with Tim Holtz Distress inks. I did have to put 3 layers of foam tape to give the beans room to shake. I cut out my SVG for the stamp and then stamped my image and then to finish up the bear, I colored him in with my Spectrum Noir markers. Here's a close up for you. I did create the background of the inside of the shaker card with stamps that are in this new set. I just love those steam images!!! I did ink them in different colors of brown of Tim Holtz distress inks. Did you notice that banner? It's a sneak preview of the new Party Dies that will be showcased this Thursday. I absolutely love it!! It has to be one of my favorite things in this entire release. You will see more on Thursday. I hope you will go and hop with us on Facebook. **For each sneak peek day, there will be a new FREE SVG pattern available for that day ONLY. Each stop along the way there will be a letter that spells a word for the freebie code. You must comment and "like" each facebook fan page in order to get the free file. The file will be available in the shop and you will find the special link somewhere in one of the sneak peek stops. Just enter the letters you collected at each post for the special code to receive your free file download. The code and free file will be available that day only so please be sure to visit the link. 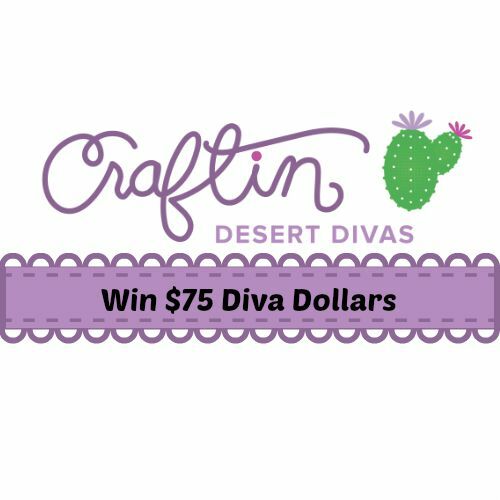 **Comment and follow each stop for a chance to win $75 DIVA DOLLARS to use in the shop! One winner will be chosen from all the comments and announced Thursday evening. 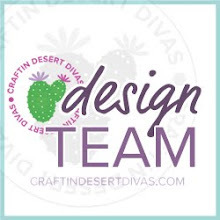 Join us this Friday & Saturday for our blog hop that will begin at our new blog address craftindesertdivasblog.com and we will have more FREE SVGs. Stamps & Dies are made in the USA. We hope you will stop by the Craftin Desert Divas Shop http://craftindesertdivas.com and the Craftin Desert Divas Gallery Facebook group https://www.facebook.com/groups/1428163220758119/. 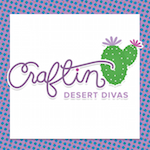 We would love for you to join us and share your creations using Craftin Desert Divas' stamps.Thanks for hopping along today! Make sure to come back tomorrow for more sneak peeks! Tara this is just too cute for words! I am in love with this set and your banner looks GREAT too. Aaaw, this is a GREAT set! 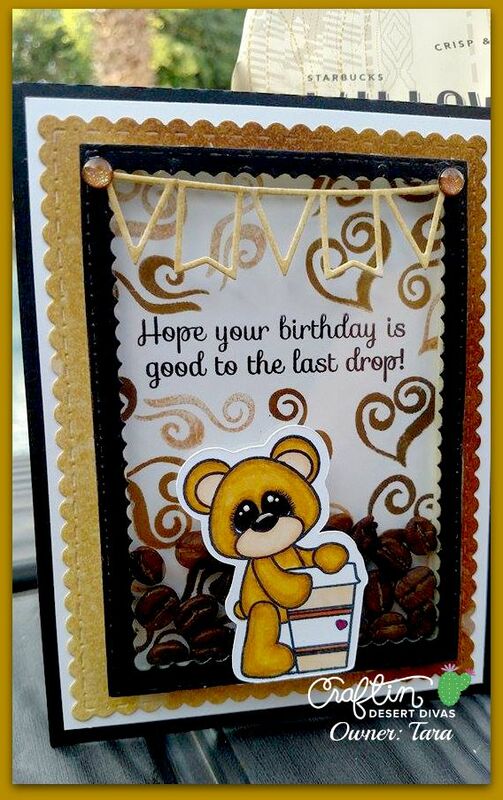 I love your darling card and the beans for the shaker is magnificent! 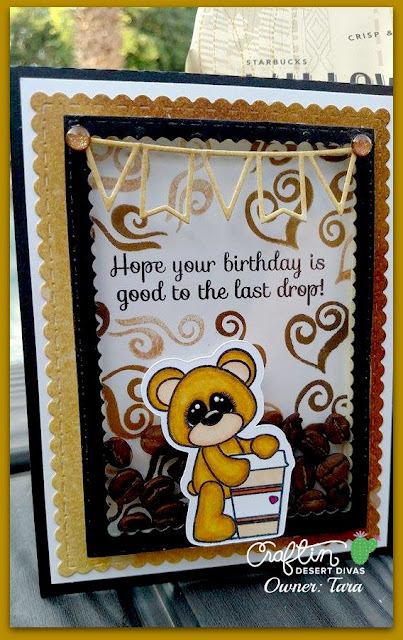 Super fun card my friend! Your shaker card is so adorable! Love it!! 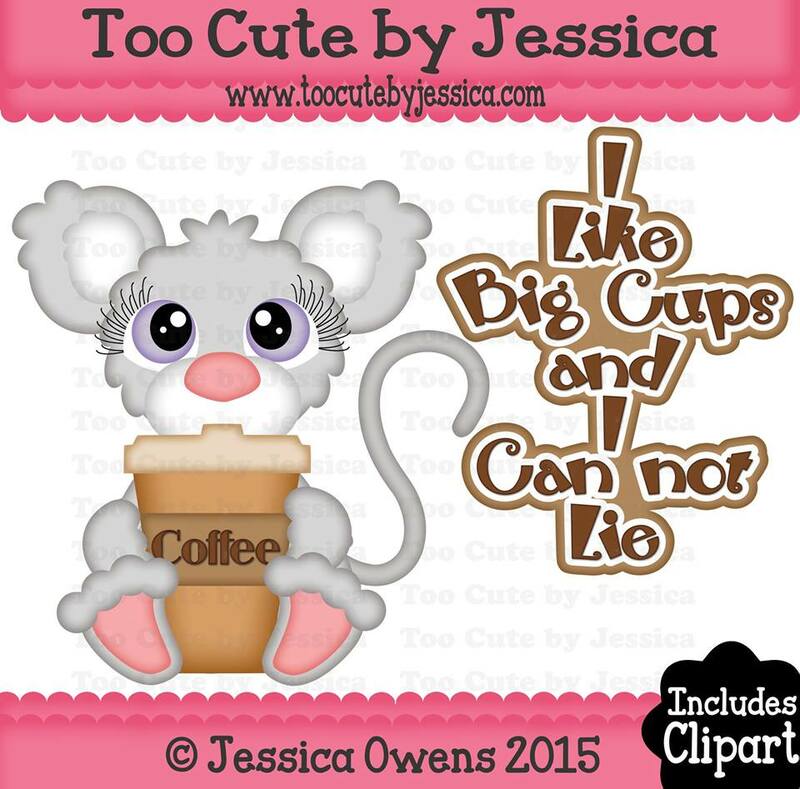 So cute, who doesn't love or need coffee!!! Fun new sets! Thanks for the ADORABLE SVG!! Your card is super cute! Awesome new stamps! Love your new blog look too! I did the hop this morning, this is such a cute stamp set. What a darling and fun card, the banner is awesome! !